Composed by Mary McDonald. Sacred, Christmas. Lorenz Publishing Company #70/2133L. Published by Lorenz Publishing Company (LO.70-2133L). 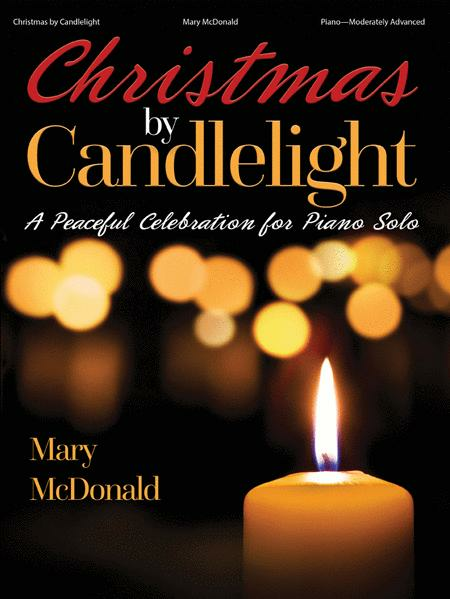 As you experience the joyous Christmas season, spend a few moments in peaceful celebration with Mary McDonald's "Christmas by Candlelight." Each selection in this book warms the heart and reminds listeners about the pure comfort and love of Jesus' birth. This collection is crafted for the skilled pianist looking to enrich their holiday services. So pleased with this purchase. I was able to read through the entire book. Will use all season long. Highly recommend.